Welcome to the portal towards a new understanding of higher consciousness and Awareness! The basis for this concept is the observation that all of the manifested universe can be described as fractions of dimensions, or fractalic, while the whole dimensions themselves are of infinite measure. Recognition of this enables you to comprehend the fractalic nature of life, experience, and the physical universe. The first step happens when you realize that the true nature of Reality is limitlessness, or Infinity without dimensional limitations. By contrast, the physical universe we are familiar with exists by virtue of iteration into dimensionality. This dimensionality consists of conceptual limitations placed on the Infinite via a finite quantity of whole dimensions, each infinite in itself, yet limited when compared to Infinity. I write "conceptual" because the limitations are not Real, but exist merely within the conceptual infrastructure of the entity doing the perceiving. Because of this, the limitations are illusory with reference to Reality. The dimensional iteration is repeated through many scales or orders of magnitude. From the whole dimensions are derived the finite dimensional parameters which define what we know of as space/time. We, as beings experiencing human, regard this dimensionality as real only because our space/time perception is also defined by dimensional limitations. Thus, we are able to experience and interact with space/time. To do so required that we agree to a temporary loss of awareness of Infinity, the true nature of All That Is. This also means that we, as our current incarnations, have agreed to a temporary loss of memory of who we really are, which is the entirety of Self. Our journey to remember our true essence is the gist of the spiritual Path. It is the understanding of the nature of the dimensional iteration that has manifested as the physical universe, as well as the means whereby it was accomplished, that enables us as seekers to achieve an untainted comprehension of Self, Awareness, and spiritual Path. I have published my book at this time (January 2005) because I consider this material of critical importance. My hope is to stimulate thought, perception, intuition, and dialogue on the subject matter presented therein. Here you can also view examples of the original full-color images that were the sources for the images published in my book, "Fractalic Awakening - A Seeker's Guide", with the accompanying excerpts describing the meaning of the images. Also, you can download the Tiera-Zon program here. This is one of the programs mentioned in my book and used to generate some of the graphics presented therein. Tiera-Zon is freeware and is a zip file of 302K in size. Please read first before reading the excerpts! 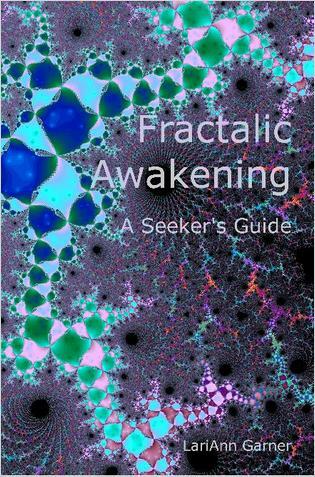 Download Fractalic Awakening Preview here (495K PDF file). NEW! The following articles allow you to preview material that will be published in the near future. Please note that this new work in in process and that you can expect revisions and additions to these articles as I refine the material in preparation for publication. Feel free to check back often in order to see how this work progresses. Note that these articles may have been published elsewhere or be viewable in article directories, but the most current versions will always be found here. Email LariAnn, the Author, and buy directly from her! Cultural Creative Web Directory The very best hand-picked, human edited Cultural Creative Web Directory of sites and resources on the internet today. Building a Living Community of Transformation.